Today I feel a somewhat spiritual connection to this enormous raccoon who got stuck in a sewer grate and had to be removed by humans. The raccoon, who I’m choosing to call Lil Idiot, as if he were an aspiring rapper with only a Soundcloud account to his name, was alerted to the authorities on Thursday. The critter was in peril of falling into the grate and possibly being eaten by a killer clown. But it turns out Lil Idiot was just too big, as two officers reportedly couldn’t even get him out. The Zion Public Works Department had to step in and free him. 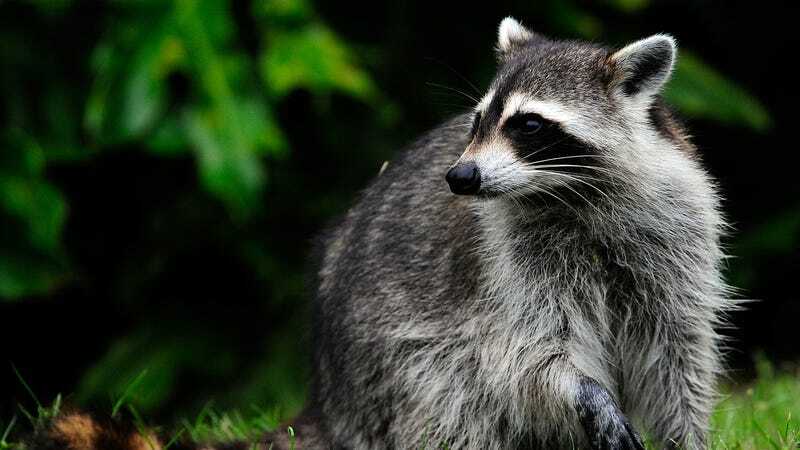 The police department wrote that “our friend was no worse for wear” and a call to the City of Zion police department confirmed that the raccoon was indeed freed successfully. The department’s animal control unit did not immediately pick up the phone for comment on the raccoon’s current state. Congrats to Lil Idiot, for being free!